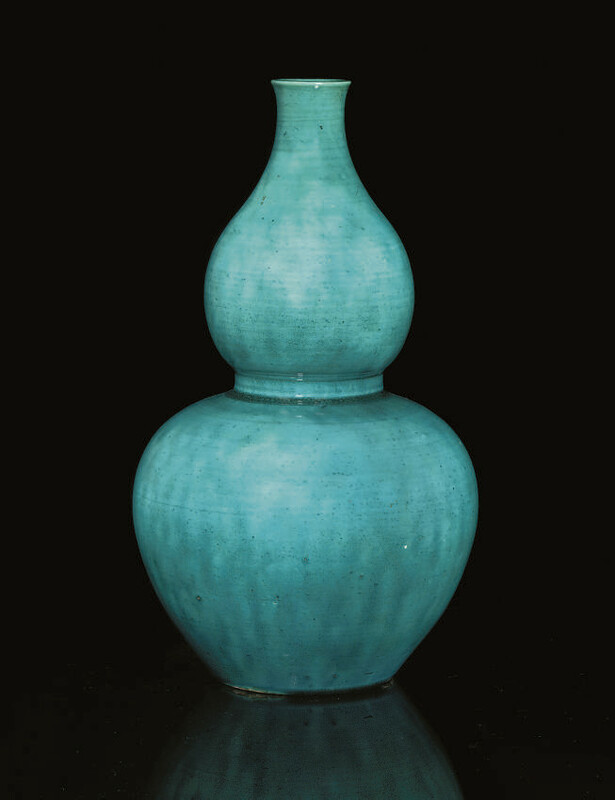 with twin bulbous sections to the body rising to a narrow flaring rim, covered in a transluscent finely crackled turquoise glaze -- 12 3/8in. (31.4cm.) high.